From Home Alone, the classic family comedy without the family! This sturdy ceramic travel mug fits most car cup holders, so your coffee will stay nice and hot no matter where you go. The double-walled construction keeps drinks insulated, and the soft silicone top is easy to clean. 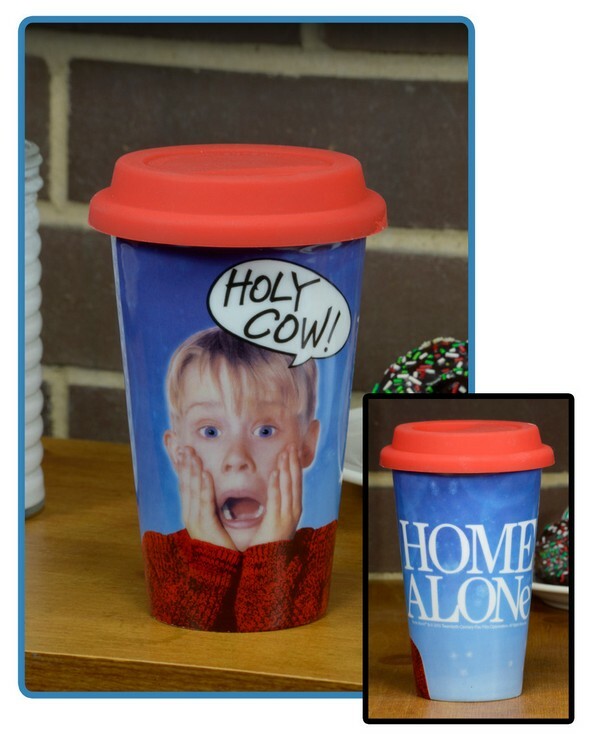 Holds 12 ounces and features Kevin (Macaulay Culkin) quipping “Holy Cow!” Dishwasher and microwave safe to 180˚F.